PUNK ROCK MEANS EXEMPLARY MANNERS TO YOUR FELLOW HUMAN BEINGS. 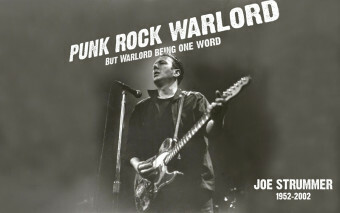 The book launch Party for Punk Rock Warlord: The Life and Work of Joe Strummer will include a Q&A session with some of the book’s contributors, a set of 101er’s, Clash and Mescaleros songs performed by the much loved 48 Thrills, DJ set from Ray – Rude Boy – Gange, Pop Up Joe Strummer Gallery, Special Guests and an opportunity to buy the book at a discount. It is a small square, set away on the far side of the magnificent Alhambra complex, but we say the Plaza Joe Strummer inaugurated on Monday 20th May in Granada, southern Span would have delighted Joe. 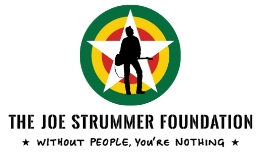 It is with great pride that we, Strummerville The Joe Strummer New Music Foundation, would like to say a massive thank you to EVERYONE for the past 10 years. Here’s to the next. 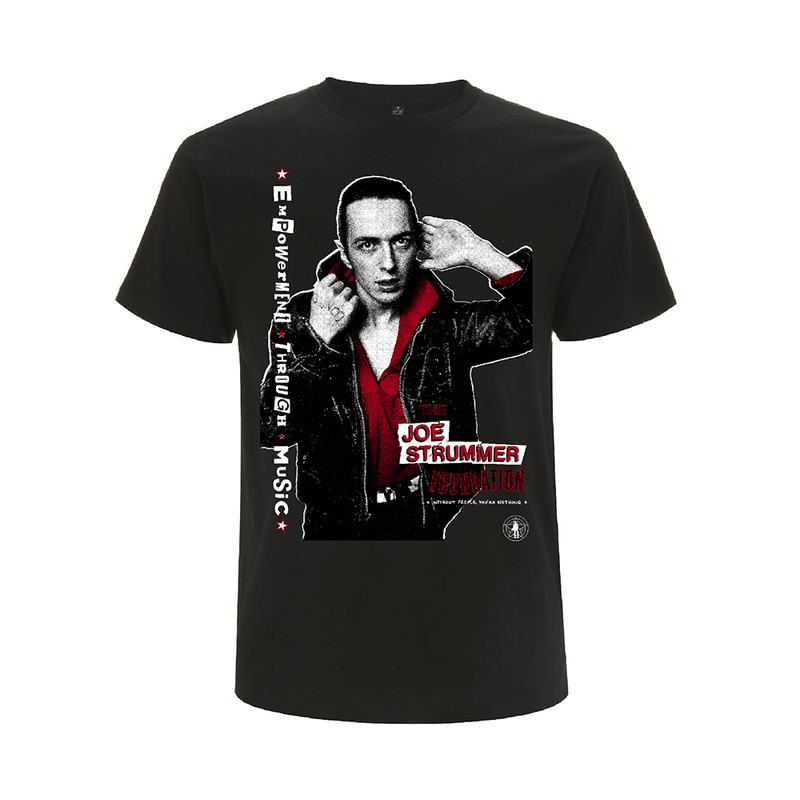 STRUMMER OF LOVE WOULD LIKE TO SAY A MASSIVE THANK YOU! After a magical three days in the Somerset hills, The Justice Tonight Band closed the one-off Strummer of Love festival commemorating the life, beliefs and music of Joe Strummer. 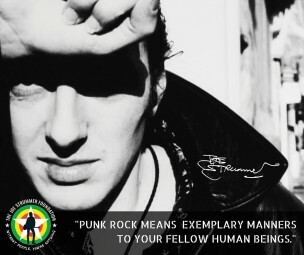 Joe Strummer’s untimely death in December 2002 sent shockwaves around the world of music and beyond. Yet friends and family were determined that his spirit would live on. 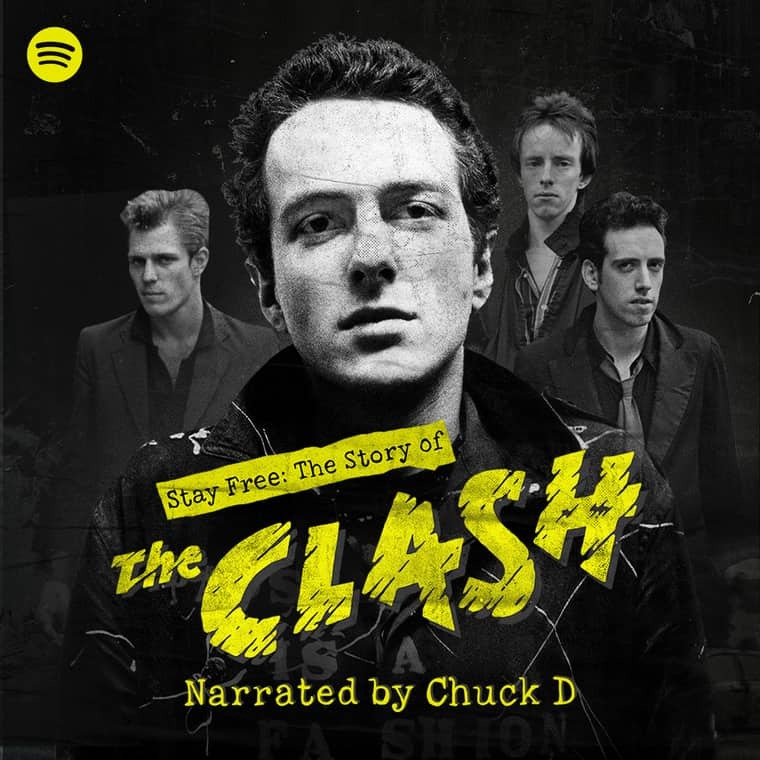 In this documentary, Grammy award-winning filmmaker Don Letts shows how Joe’s unique contribution to the music world is manifesting itself through a charity set up in his memory – Strummerville. 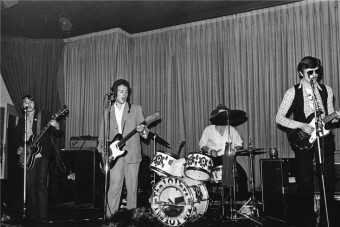 The film features performance footage and interviews with exciting Strummerville artists such as Riff Raff and Smokey Angle Shades. There are also contributions from supporters and founders of the charity, including Billy Bragg and Damien Hirst, plus wonderful footage of Strummer himself.